An angler's gear defines him. I see guys on the rivers sporting the most expensive set up running over a $1000.00 in some cases. Others have equipment that looks like it was abandon at the river's edge. But, there's a collection of stories or memories attached to every single of them. It could be that trip to Northern Canada, Florida, or one of the local streams. It could be that fish of a lifetime caught 20 years ago, or the one that got away. I have plenty stories and memories with my gear going back over 15 years. Some of my reels and rods have been replaced and others are tucked away in a closest. I have a collection of old rods and reels in my place. Some have been in there for years. I could sell them, but I have a special attachment to them. One of them is a John Milner Kingfisher that I purchased from Ebay along with a Raven float rod and collection of floats. I got a great deal as I paid $220.00 for the entire setup. That was close to 15 years ago when centerpinning started taking off along the Alley. 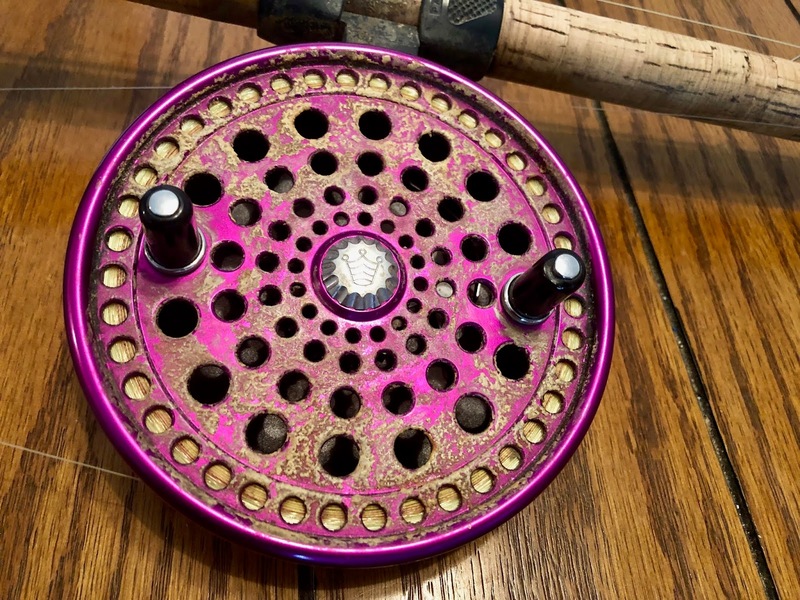 The reel was a bushing model that I eventually found out wasn't ideal for the lazy flowing rivers found in Ohio. It was trail and error and a lot of bird's nests as I tried to master the casting it. But eventually I got the hang of it, but I what I needed was a bearing type reel. 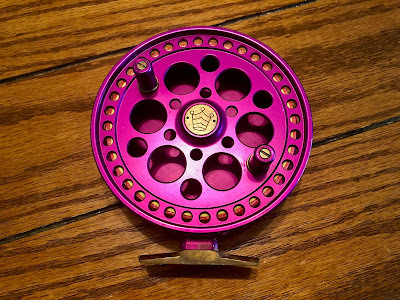 This time I did my homework and I bought a reel specifically made for the Great Lakes steelheader. 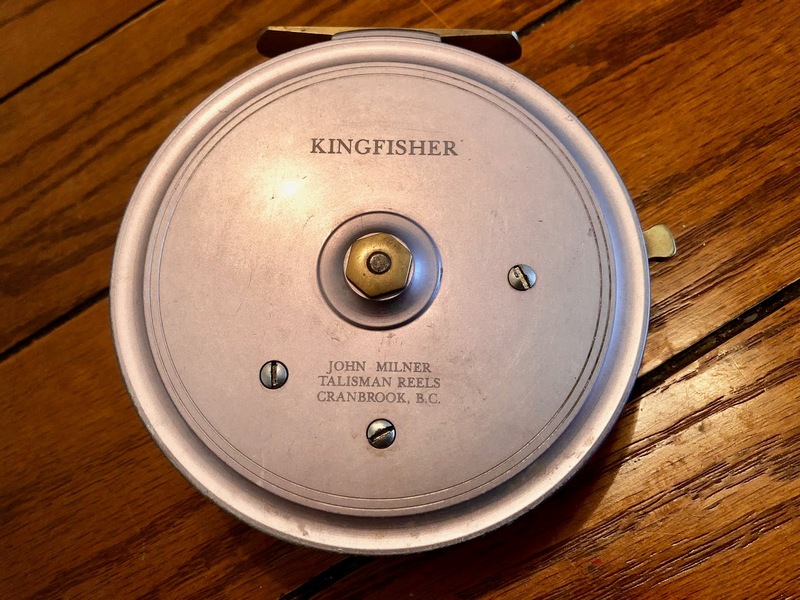 This one was Kingpin Series II and it was my first big time purchase as I shelled out over $500.00 for the best British engineered reel at the time. It was main reel for many years until the next generation of the Kingpin came out and the lighter and thinner 475 model. The weight difference was noticeable compared to the old one. To this date it's been my primary reel and I haven't even thought of getting another one. It's performed flawlessly and withstood my punishment. As for my rods, I had some pretty useless ones at first. They were cheap and often broke because they could handle my abuse. The Raven rod I got from Ebay was a IM8 model and it was too stiff and heavy. I often joked that I could us it for pole vaulting. After a long day my shoulder paid the price. I sold that to another naive newbie. Being done with inferior quality, I laid out the cash and got the Excalibur of float rods, the G Loomis GLX. For $580.00, it was worth every penny. It was so light that I never had issues with my shoulder anymore. As legend has it, King Arthur broke his Excalibur. Today I'm on my third one. The first one I broke the tip as I whacked it too hard on the water trying to get the ice off the top guides. They sent me a replacement section for $40.00. The second one was when I fell down a bank and the rod hit a rock. Little I did I know at the time I cracked the blank and eventually one outing I caught a snag and the rod snap right above the handle. G Loomis shipped me a brand rod for $120.00 and in the four years I've caught a ton of fish with it. The other rod is my Raven IM6 model which is my backup rod and I've had nothing but problems with it. I've had it break 5 times mostly at the top because the rod can't handle heavy loads and I've noticed it breaks when the temperature is really cold. Right now it's in the closest as I broke the mid section when I tried to beach a large fish. I haven't decided if I want to spend the money to fix again or just chuck it. My only other back up rod is a $40.00 one I bought for my girlfriend's son. He's only used it once and that was over 3 years ago. 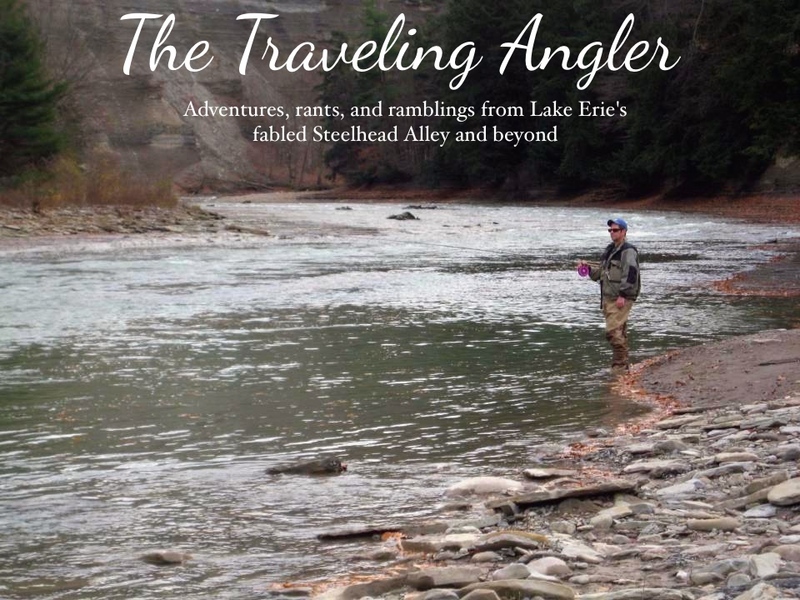 Buried deep in the recesses of my closest are my fly rods and reels. I have a Redington 7W and a Teton reel. 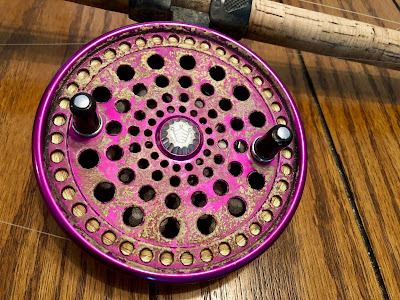 I also have a Redington reel that I used in Michigan over 10 years ago and after a week of epic fights with some surly Kings, the drag got fried. Other than making a great paperweight, it's pretty well useless. The Okuma 10W I bought for $50.00 got blown up on the second last day when I got freight trained by a huge fish. I can't remember when I last used the fly rod as I was swayed to the darkside of float fishing and never looked back. I have been dabbling fly fishing for carp, but I really never have or wanted to make time fishing in the summer as the Rock can be a grotesque mess of algae and smelly mud. 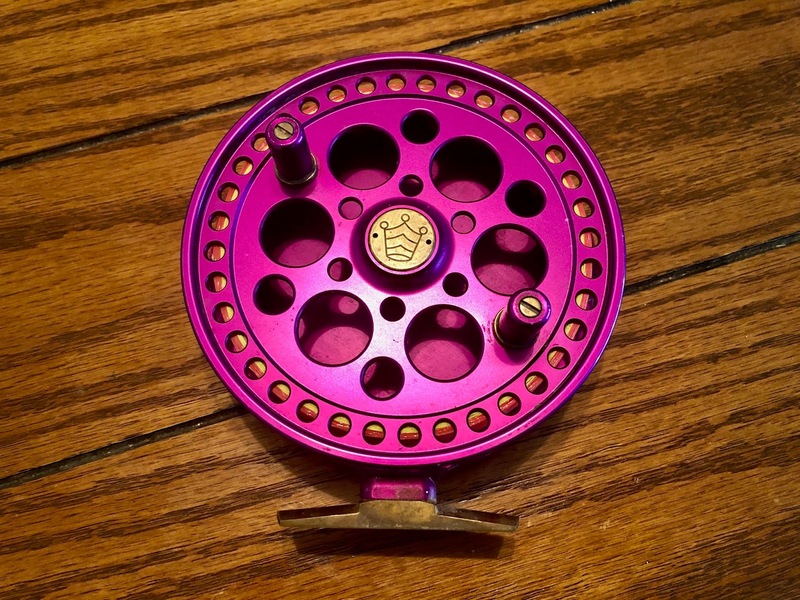 Will I sell my fly rod and reel? Probably not as you never know I might eventually get bored of float fishing, but that's a big maybe. You think I would be happy and proud of my gear, but I have this indifference to them. I toss them in the back of my SUV. I don't gasp whenever I drop my reel on the rocks. I basically treat my gear like that because I can afford it. If you looked at my gear, you would thought I found it in a dumpster. All of my centerpin reels are covered with nicks and scratches. That's a testament of how much I fish for steelhead. The same can be said about my Loomis rod. The cork is filthy, the guides have grooves in them, and blank is coated with whatever it came in contact with. Personally I don't think gear should be all nice and shiny. That's for the vain crowd. By the time the last steelhead have left the rivers, I'll start the long process of scrubbing off all that crap that has accumulated since last September. Everybody's fishing gear will eventually wear out. Some of us don't hesitate and go out and buy more. But guys like me, don't like to part with a faithful old friend. I can see myself on the river when I'm in my 80s fishing with my Kingpin as the newest generation of steelheaders will see the old man fishing with a relic from the early part of the 21st century.